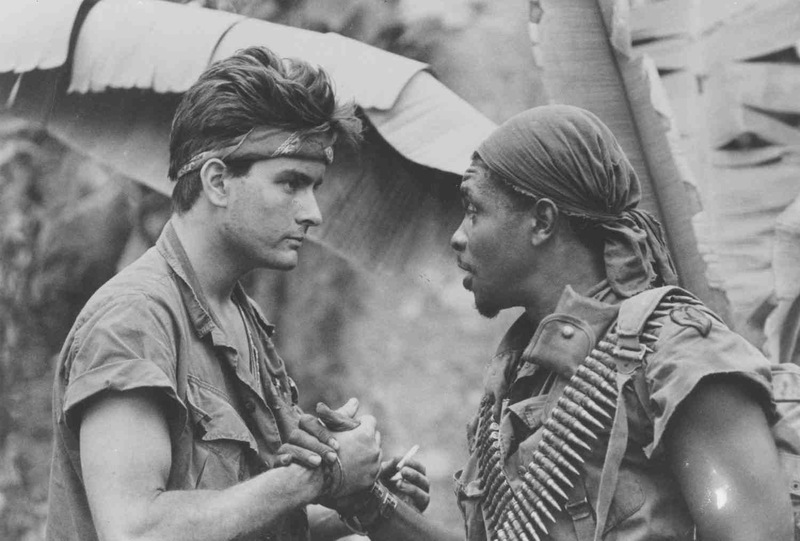 1: In a TV interview, Charlie Sheen credited Keith David with saving his life on the set of “Platoon“. While shooting in an open-doored Huey gunship, the helicopter banked too hard and Sheen was thrown towards – and would have gone through – the open door. David grabbed him and pulled him back in. 2: At one point Steven Spielberg considered directing “Awakenings” before passing it on to Penny Marshall. The time he spent on the project did yield one useful outcome for him: Steven Zaillian’s script took several short chapters, each about different patients, and put them together into a linear whole. This brought Zaillian to Spielberg’s attention, and he offered Zaillian the similar task of adapting “Schindler’s List“, which ended up winning Oscars for both of them. 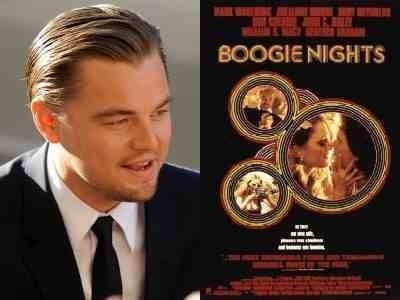 3: Leonardo DiCaprio was originally offered the role of Dirk Diggler in “Boogie Nights“. He liked the screenplay but turned it down because he had already signed on to do “Titanic“. However, it was DiCaprio who suggested Mark Wahlberg for the role. 4: Martin Scorsese stated before the release of “Casino” that he created the “head in a vice” scene as a sacrifice, certain the MPAA would insist it be cut. He hoped this would draw fire away from other violent scenes that would seem less so by comparison. When the MPAA made no objection to the vice scene, he left it in, albeit slightly edited. 5: In “Aliens“, Lance Henriksen caught a dose of food poisoning from the milk and yogurt combination that he had to spew up when his chest was pierced by the alien queen’s tail. Having this lactose combination sitting around under hot studio lights created a bacterial breeding ground. Curiously, the crew of the first “Alien” film opted not to use milk for Ash’s “death” scene (where he also spews the milky substance out of his mouth) as they thought a fluid made of milk would go sour under the hot lights. 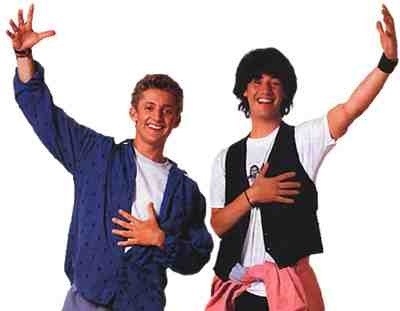 6: When trying out for the parts of Bill and Ted in “Bill & Ted’s Excellent Adventure“, each actor was paired up with another. Keanu Reeves and Alex Winter were paired up, Reeves trying out for the part of Bill while Winter tried out for the part of Ted. They were cast opposite what they auditioned for. 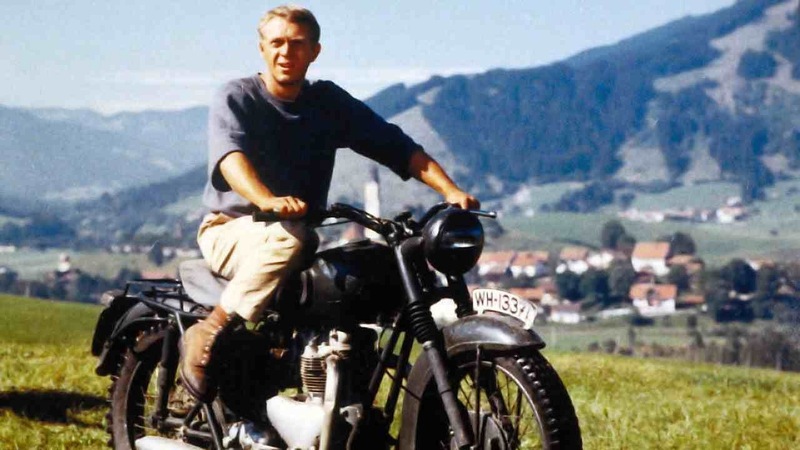 7: During the climatic motorcycle chase in “The Great Escape“, director John Sturges allowed Steve McQueen to ride (in disguise) as one of the pursuing German soldiers, so that in the final sequence, through the magic of editing, he’s actually chasing himself. 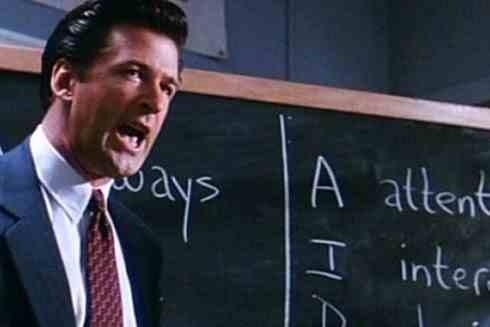 8: In “Glengarry Glen Ross“, Alec Baldwin, was initially hired to play Blake (a role which wasn’t in the original play) but with the agreement that if Al Pacino was unable to play Roma, Baldwin would play him. Early in preproduction it looked as if Pacino was going to be unavailable, so Baldwin began working on Roma, only for Pacino to join the project and Baldwin went back to Blake. 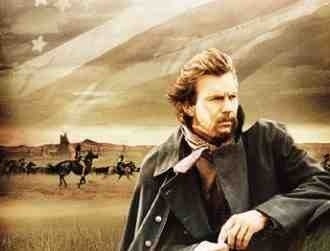 9: “Dances of Wolves” ran so far over budget that Kevin Costner was forced to invest his own money. This caused rumors that the film would be another out-of-control, disappointing western like “Heaven’s Gate“. In fact, some studio people were referring to it as “Kevin’s Gate”. It went on to win the first Best Picture Oscar for a western since “Cimarron“, over 50 years before it. 10: When the film “Gangs of New York” was first conceived in 1978, it was originally planned for Dan Aykroyd to be cast as Amsterdam Vallon and John Belushi as Bill ‘The Butcher’ Cutting. The project fell apart after Belushi died. A cast reshuffle had Mel Gibson as Amsterdam Vallon and Robert DeNiro or Willem Dafoe as The Butcher. 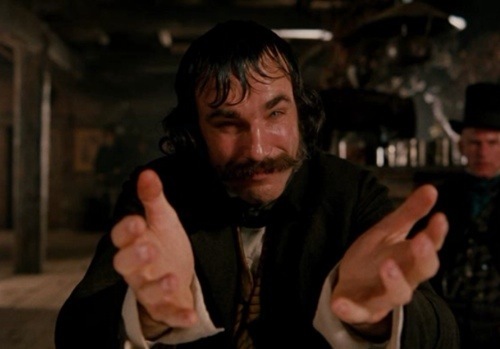 Eventually, Leonardo DiCaprio was cast as Amsterdam Vallon and Daniel Day-Lewis was cast as The Butcher. This entry was posted on March 29, 2013 at 1:28 pm and is filed under Uncategorized with tags 2013. You can follow any responses to this entry through the RSS 2.0 feed. You can leave a response, or trackback from your own site. Great trivia as always. The facts about Platoon and Gangs of New York were interesting. I can’t imagine John Belushi as Bill the Butcher. Can’t imagine Belushi in that role either. As far as I was aware the role was DeNiro’s originally. Had no idea about Dafoe either. I can see them both working but not really Belushi. Anyway, Day-Lewis knocks it out the park and is still one of his best performances. Great stuff Mark. Littered with classics I haven’t seen this week! – Platoon, Casino, The Great Escape, Dances with Wolves. Shame on me. For Gangs of New York, though, that’s crazy to think of Dan Aykroyd and Jim Belushi in there. Cheers Chris. You haven’t seen those films? Man, you have many treats awaiting you. Totally agree on Aykroyd and Belushi. It’s hard to imagine them at all. The film could have been very different as could their careers. 3) I can’t imagine DiCaprio coming across as dense enough to make Dirk Diggler work. Wahlberg does “not very bright” Soooooo well! As much as I’m not a fan of Wahlberg I have too admit that he was perfect as Dirk Diggler. Whether DiCaprio could capture the role is open to question, though. I wouldn’t put anything past him and he captured an astounding mentally handicapped character in What’s Eating Gilbert Grape. However, I would sway towards agreement here Fogs. Maybe Keith David should have stayed out of Sheen’s way….just sayin’. Mark, did you hear that Scorsese is trying to adapt The Gangs of New York for TV? Martin Scorsese’s 2002 epic about rival gangs in mid-to-late 19th century New York is being adapted for TV. Miramax announced the development on Thursday, revealing that the “Gangs of New York” TV show will actually expand beyond the Big Apple to cover organized crime in cities like New Orleans and Chicago at the turn of the century. I haven’t seen HBO’s Boardwalk Empire but I imagine this could be good with the right casting. Like say Dan Ackroyd and Jim Belushi. LOL. Wow that casting for Gangs of NY would have caused a wee bit of a different film to be made. Always love that bit about McQueen in the Great Escape. Aye, Gangs would have been a very different film and the careers of Belushi and Aykroyd would have been very different as well. Honestly, I can’t see them in it but it does make you wonder. Awesome Mark, learned a bunch of new things today. Ah, so that’s where the blog name ‘Head in a Vice’ came from. I still need to see Casino. Oh that poor Lance Henriksen, who said actors don’t suffer for their art, ahah. That is such a disgusting scene! Fun trivia about Kea… er Chuck there, my hubby had me watch the movie on his iPad not that long ago. It’s sooo goofy! Yes, indeed that’s where Tyson gets his name from. He’s openly admitted this so I hope I’ve not revealed to much on him. 😉 It’s still obscure enough for him to maintain a very nicely titled blog. Haha! Glad you remembered our friend “Chuck”. I honestly see him as that all the time now. I have to remind myself to write “Keanu” now. Ahah well since you mentioned it, Chuck is stuck with me too 😀 Btw, if you’re in the mood for some beautiful music (and who isn’t? ), I’m featuring one from your beloved De Niro. I need to rewatch that film again. Great stuff, Mucker!! Always solid!! I think the problem people are having picturing Belushi and Aykroyd in GONY is that Belushi’s career was too shortlived for him to take any dramatic roles — and Aykroyd just hasn’t done so very often. I’m not sure it would have worked, but it might have been interesting to see. Cheers Mogan. You definitely have a point there. Belushi may well have proven a fine dramatic actor and I always enjoyed Aykroyd whenever he attempted it. I’m not sure it would have worked either but it does make you wonder. Great facts as always, Mark! 1, 7 and 10 were my favorites. Woah that Aliens trivia is gross. I bet it reeked there. 1. Keith David is THE MAN. I had never heard this. Scary stuff. 4. How did I not know this?! That is brilliant. Such a Marty thing to do. 8. That’s great fate right there – both Baldwin and Pacino are perfect in their respective roles. Great trivia, love the casino one. 8 is my fave. I loved the film. Suppose it ended up ok as Alec’s perofmance is my fav cameo ever. Wouldn’t have minded seeing the play either. Baldwin is just sublime isn’t he? It does have to be one of the very best cameo’s ever. No doubt about it.